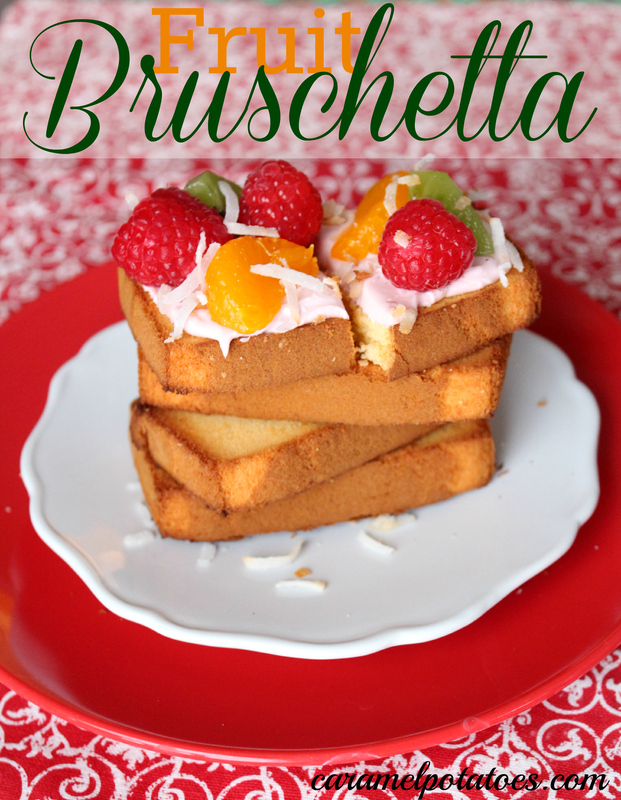 Bruschetta is one of those things that everyone seems to love and has their own version of. However, this is really a whole new version. There is no bread, no tomatoes and no basil. This sweet version is perfect for as a dessert at any party or gathering. It also makes a great after school snack for the kiddos. Not only is it a simple recipe but it can be customized to fit each person’s tastes. And isn’t it so pretty? If your schedule looks anything like mine over the next couple of weeks, you are pretty busy with not a lot of extra time. My calendar is filled with parties, school events, piano recitals, dinners and don’t forget all the shopping I need to finish. Many of these events are a potluck menu and this Fruit Bruschetta are sure to make an appearance. Set oven to broil and lightly spray a baking tray. 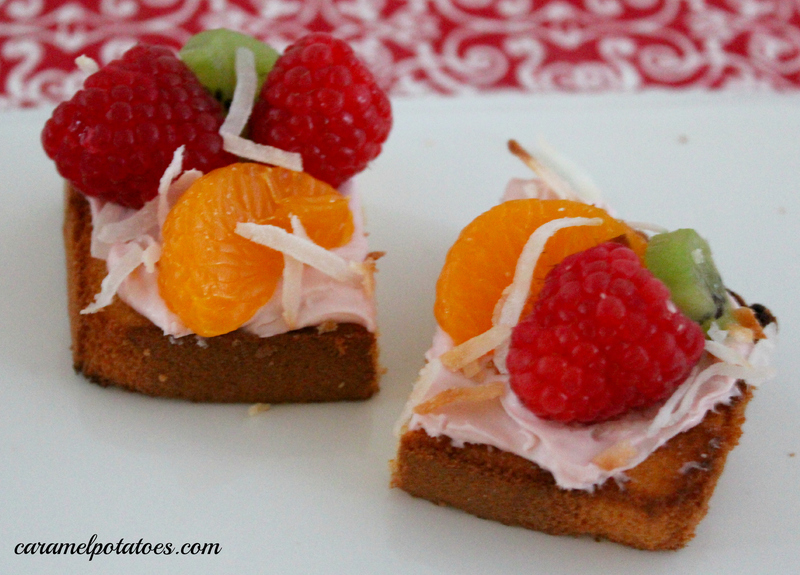 Place cake slices on prepared tray; broil 3-5 minutes, turning once, until light golden brown. Let cool. Spread each cake slice with about 2 teaspoons cream cheese. Cut slices in half. Top with oranges and desired fruit. Sprinkle with toasted coconut and serve.